“Reiki is a Japanese technique for stress reduction and relaxation that also promotes healing. It is administered by “laying on hands” and is based on the idea that an unseen “life force energy” flows through us and is what causes us to be alive. If one’s “life force energy” is low, then we are more likely to get sick or feel stress, and if it is high, we are more capable of being happy and healthy. A treatment feels like a wonderful glowing radiance that flows through and around you. Reiki treats the whole person including body, emotions, mind and spirit creating many beneficial effects that include relaxation and feelings of peace, security and well being. Many have reported miraculous results. “The body is more than just a collection of functioning parts. Since everything generates a frequency, the body and its organs have their own energy field which is continually changing. All conditions of disease are rooted in this energy system. If our “life force” is low or blocked, we are more likely to get sick. But if it is high and flowing freely, we can maintain our health and well being. 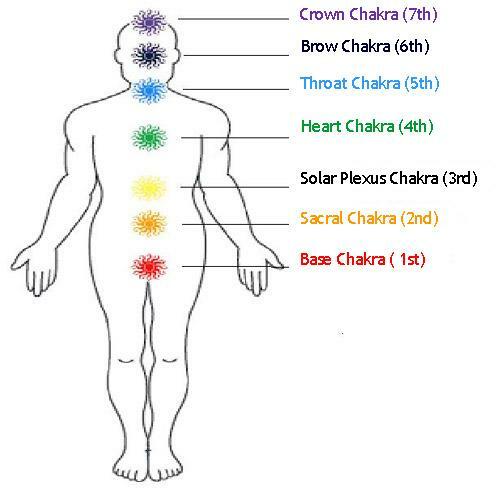 Reiki Healing Energy provides means to balance the human energy fields (Auras) and energy centers (Chakras) to create conditions needed for the bodies healing system to function. The Reiki practitioner assists the client to heal his or herself spiritually, mentally, emotionally and physically by a simple laying on of hands. By the use of ancient healing symbols the practitioner channels the Universal Life Force energy allowing it to flow where is needed to bring the energy centers into alignment. “An amazingly simple technique to learn, the ability to use Reiki is not taught in the usual sense, but is transferred to the student during a Reiki class. This ability is passed on during an “attunement” given by a Reiki master and allows the student to tap into an unlimited supply of “life force energy” to improve one’s health and enhance the quality of life. Its use is not dependent on one’s intellectual capacity or spiritual development and therefore is available to everyone. It has been successfully taught to thousands of people of all ages and backgrounds. While Reiki is spiritual in nature, it is not a religion. It has no dogma, and there is nothing you must believe in order to learn and use Reiki. In fact, Reiki is not dependent on belief at all and will work whether you believe in it or not. Because Reiki comes from God, many people find that using Reiki puts them more in touch with the experience of their religion rather than having only an intellectual concept of it. While Reiki is not a religion, it is still important to live and act in a way that promotes harmony with others. Dr. Mikao Usui, the founder of the Reiki system of natural healing, recommended that one practice certain simple ethical ideals to promote peace and harmony, which are nearly universal across all cultures. During a meditation several years after developing Reiki, Dr. Usui decided to add the Reiki Ideals to the practice of Reiki. The Ideals came in part from the five principles of the Meiji emperor of Japan whom Dr. Usui admired. The Ideals were developed to add spiritual balance to Usui Reiki. Their purpose is to help people realize that healing the spirit by consciously deciding to improve oneself is a necessary part of the Reiki healing experience. In order for the Reiki healing energies to have lasting results, the client must accept responsibility for her or his healing and take an active part in it. Therefore, the Usui system of Reiki is more than the use of the Reiki energy. It must also include an active commitment to improve oneself in order for it to be a complete system. The ideals are both guidelines for living a gracious life and virtues worthy of practice for their inherent value. Reiki will never harm the body; it can complement other medical and alternative treatments and help to reinforce their effects.